New Zealand’s World No.6 Paul Coll will headline a high-quality draw at the Troilus Canada Cup Squash, with the PSA Silver tournament taking place in Toronto between March 3-7 after the main draw was released today. This season’s Canada Cup Squash tournament will be the biggest PSA tournament in the country’s history with a total prize purse of $81,500 on offer. “It will be our 12th year running, and second year as a PSA event. We look forward to continue growing and showcasing squash in Canada,” said Tournament Director Shahier Razik. The 26-year-old Coll has enjoyed a strong season so far, reaching the semi-finals of two PSA Platinum tournaments, the U.S. Open and Black Ball Squash Open, as well as a runner-up finish at the China Squash Open. The Kiwi, who along with the other top eight seeds receives a bye into round two, is seeded on the same side of the draw as the likes of Egypt’s World No.9 Mohamed Abouelghar, England’s former World No.12 Tom Richards and Hong Kong’s Tsz Fung Yip. Coll will begin his tournament against either England’s Nathan Lake or Adrian Waller, depending on who comes out on top in their round one clash. Seeded at the opposite end of the draw is Egypt’s World No.8 Marwan ElShorbagy. 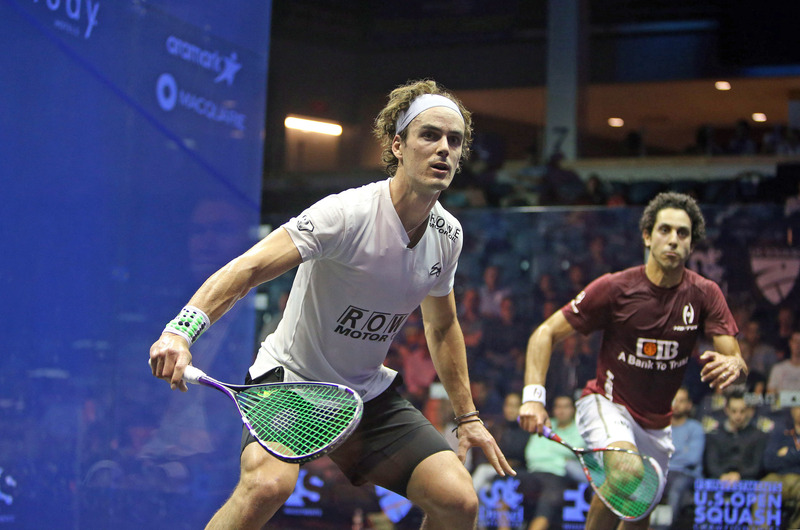 The Egyptian is seeded to meet Peru’s World No.10 Diego Elias in the semi-finals, but will first have to navigate a draw that includes the likes of England’s Declan James and last season’s tournament runner-up Australia’s Ryan Cuskelly. ElShorbagy will open against either Malaysia’s Ivan Yuen or Egypt’s Omar Abdel Meguid in his opening match in Toronto. Home interest comes in the form of Canada’s World No.89 Michael McCue, who resides in Toronto and takes the wildcard spot. He will face Egypt’s Karim Ali Fathi in round one. Troilus Canada Cup Squash, Toronto, Canada. Preview by ELLIE MAWSON (PSA Media team). Edited by ALAN THATCHER.